This limited edition seasonal bar is made from single origin cacao beans from Tanzania steamed with ginger, mixed with winter spice-infused cacao butter, and decorated with sparkling brown sugar. The perfect companion for holiday spirits. 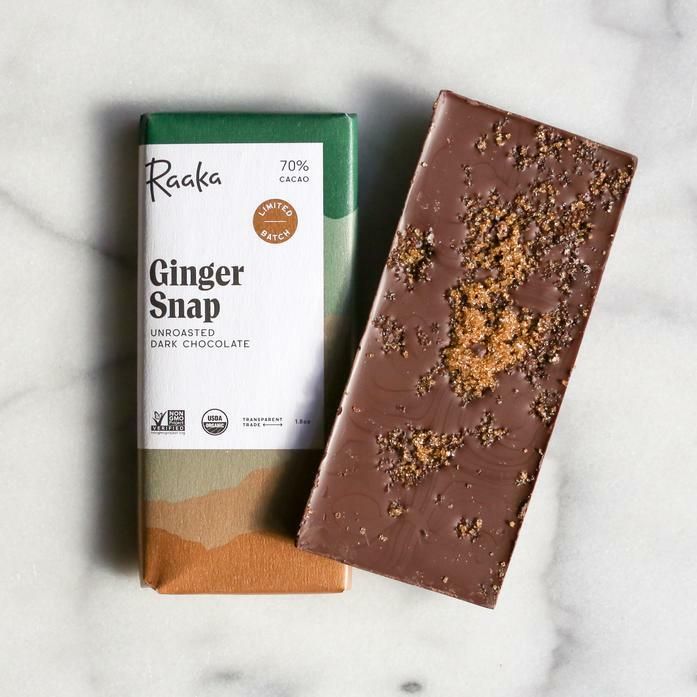 All of Raaka's chocolates are made from unroasted cacao beans and are sourced from sustainable farms around the world. The chocolate is certified organic, vegan, and non-GMO, as well as gluten and soy free. The only nuts processed in their facility are coconuts.